Eye On Tampa Bay: Where should Bay Area Business spend its campaign contributions? Not on light rail proponents? Where should Bay Area Business spend its campaign contributions? Not on light rail proponents? Light rail will not work in the Bay area; it will be a publicly subsidized disaster as it has been almost everywhere it has been built. 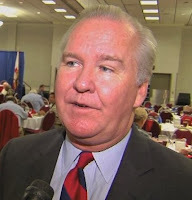 The subject of transportation was on the agenda this past week as Tampa Mayor Bob Buckhorn St. Pete Council member Darden Rice and Clearwater Mayor George Cretekos met with business leaders to get them involved in the ever growing bay area transportation crisis. You can get some detail from Caitlin Johnston, Tampa Bay Times; Government Governmentleaders urge businesses to become transportation leaders. It is completely understandable that political leaders are frustrated by the in ability to make progress on transportation solutions. What is much more difficult to understand is why they have such a hard time figuring out why the public will not support their plans? Tampa Mayor Bob Buckhorn called transportation the area's Achilles' heel and singled out rail as a much-needed option. Buckhorn’s comments are representative of the major problem in developing a Bay area transportation solution. Twice light rail has been a centerpiece of a transit referendum, and twice the public has sent it down in a flaming defeat. Obviously, Mayor Buckhorn has not gotten the message. 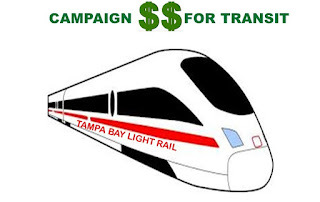 Clearwater Mayor George Cretekos said it's an embarrassment Tampa Bay hasn't moved yet on a transit plan. Mayor Cretekos’s frustration is the direct result of the politicians camping out on ideas the public does not believe will work. Light rail, water ferries, regional transit authorities, and TBARTA are examples of issues the public does not want and will not support. St. Petersburg City Council member Darden Rice said local leaders need to be willing to work together for the good of the region, even if it doesn't directly benefit their own jurisdiction. Darden Rice, lives is a world somewhat detached from reality. The concept of a regional transit authority that operates independently from the local jurisdictions that it supports is just a fantasy. All politics is local, and there is not one jurisdiction in the Bay area that will be willing give up its autonomy or revenue on transit issues. Then there was this from Bob Buckhorn. "We can't be silenced by a very small minority of agitators and dissenters and Internet trolls that continue to say that we don't need rail and we don't need mobility options and that, instead, we can build more roads to get out of this problem," Buckhorn said. "We absolutely cannot." As one of those trolls, I would like to thank the mayor for his support. Business people at this conference should take away the fact that these politicians are living in the past, and they are trying to implement solutions that have a record of failure. 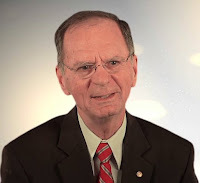 I agree that as a business person or business owner in the Bay area when you are asked for a campaign contribution you carefully consider who is asking. If their solution is light rail, transportation redevelopment and solutions that have a history of failure in construction and implementation you should probably contribute elsewhere.